Our price list and calendars are updated on a daily basis, please have a look to see if we have availability. A stylish, contemporary 5 bedroom home, tastefully decorated and furnished to a very high standard. Walks to Fall Bay, Mewslade, Rhossili Bay and Worms Head from your gate. A perfect home for any family gathering for all seasons. Open plan ground floor accommodation. Two siting rooms. Large Kitchen. Cloakroom. Five bedrooms to first floor with ensuite shower room and two further bathrooms. Short stays are welcome minimum of two night stay. Prices are based upon per night and per person. Sadly we are unable to reduce our prices during peak season. Please check our calendar for availability. The property is south facing and is accessed via electric wooden gates with ample parking for several cars as well as the integral double garage. Sleeps 10. Five bedrooms. Pets are welcome. Entering the property via the impressive hallway, the fabulous open plan living space on the ground floor is perfect for any dinner party. To the right there is a spacious living room with a 55″ flat screen TV & DVD player. To the left of the hallway there is fully fitted kitchen with complimentary black granite work tops with appliances including oven, grill, microwave, American style fridge/freezer , wine fridge, Nespresso machine, kettle, toaster ,washing machine and dishwasher. The family room leads off from the kitchen and includes a 60″ flat screen TV and features bi-folding doors that open out onto the garden enjoying fantastic views over Mewslade. Should you want to enjoy the views externally and watch the world go by, there’s a large decked area to the front with garden furniture and a barbecue for the perfect outdoor dining experience! Also to the rear of the property there is large covered patio area again with garden furniture ideal for alfresco dining and entertaining. 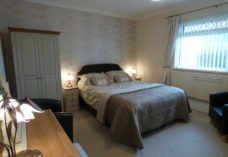 To the first floor there is a spacious landing area with doors leading off to five bedrooms, two with super king size beds , double bed and two twin bedrooms. Linen and towels provided for every room. There is an en suite shower room, two further bathrooms, one with a Jacuzzi bath, illuminated mirrors and oval stone basins which makes this a truly relaxing experience. A £200 holding deposit is required to confirm booking. We really enjoyed our stay at The Grange. 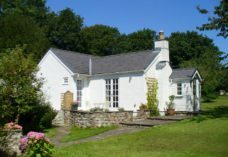 It is a lovely house in a great location – just ten minutes’ walk to the beach at Rhossilli and also to some hidden gems with excellent coves and rock pools; the scenery along the coastline is simply stunning. The house is spacious with a great kitchen at the heart and two comfortable reception rooms just off either side. The bedrooms are all generously sized, especially the two main ones and all have access to well-designed bathrooms. We had four children under the age of eight staying with six adults and there was never a feeling of being squashed. We all had a super time. 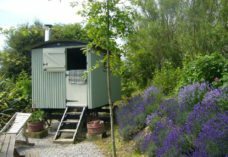 The Grange was one of the best self catering we’ve stayed in- and we’ve tried a few! Everything was brilliant- right from Cara’s warm welcome. The house had everything- from lots of space for the children to run around, an excellent kitchen, garage for muddy walking boots and comfy beds. The location is absolutely stunning too- sea views from many rooms and the view from the patio is cracking! We didn’t need to use the car all week- walks right from the front door to Worm’s Head, up hills or straight down to the beautiful Mewslade. Would absolutely recommend and would love to go back. Hi Cara,I hope you are well.I wanted to pass on our thanks for a fantastic long weekend at The Grange. The property was amazing and we had a wonderful, relaxed few days there. We could not believe how well-equipped the house is and we made full use of the outside decked seating area due to the lovely weather. We will definitely recommend the property to friends and, hopefully, will have a chance to return again in the future. Thanks so much for a lovely stay and I have to say that the bed ( in the ensuite room) was one of the most comfortable we’ve ever slept in. What a gorgeous house in a wonderful part of the world, I guess helped by the fantastic weather this weekend. We had a really great time. Hi Cara , just wanted to let you know we had a fantastic time staying at The Grange , its a really lovely house in a great location. Just a thank you for the welcome at the Grange last week, the welsh cakes went down well as did the Prosecco. We had a lovely family weekend in your fantastic house. Thanks again. Cara,just wanted to thank you for our wonderful week in your house, it has been like home from home , with everything we have needed and more. We demolished the welsh cakes in no time.Once the sea mist cleared after the weekend we have been able to make the most of the lovely beaches nearby and look forward to hopefully returning soon to explore more. Depressing ourselves by thinking about leaving tomorrow , we’ve had a lovely stay. We are throughly enjoying our stay in this beautiful area. Your cottage is great, comfortable, well equipped and spacious. We would love to return next year if you would have us again! Have special requirements? Call Cara Evans on (please email).